She knows everything about Pacifica. I liked Christine's personality. We loved their services. They did a good job. I got a good price for my property. I liked the exposure they brought to our property. The house was advertised and promoted well. I would say they know the area very well, they have a good reputation from working with other Realtors, and they're very good at finding exactly what you're looking for in a house. I liked just how quickly we were able to find and close on the house that we wanted. 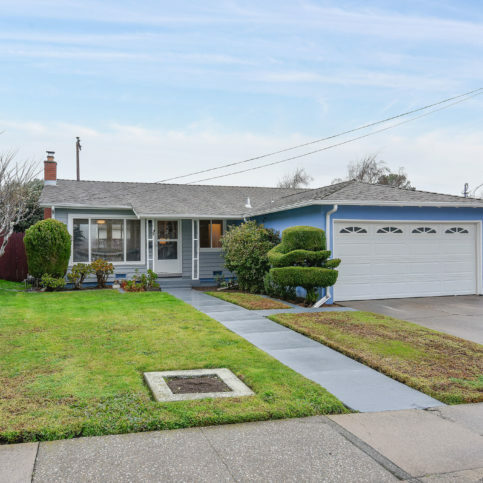 The Lommori Stahl Group of RE/MAX Star Properties continues a family tradition in real estate since 1954, helping clients sell and buy various types of residential real estate in San Mateo County, San Francisco, and beyond. With the loss of its team mascot, Rockaway Ricky, the Lommori Stahl Group has proudly created the Rockaway Memorial Fund. The fund helps provide pet care for Pacifica seniors and the homeless. For more information or to donate, please visit PacificansCare.com. Lommori Stahl Group has been helping clients buy and sell residential real estate in San Mateo County and San Francisco since 1994. The agency handles every step of the real estate process for its clients, from providing financial advice to counseling them about their short- and long-term plans. Its agents are also qualified to work on short sales and 1031 exchanges. If you’re thinking about buying a home, make sure you’re aware of the latest real estate rules. Gone are the days of low or no down payments, borrowing the full balance of your loan, fast escrows, and easy prequalification to home buying. Since the housing market upheaval of 2008, buyers now face a limited approval process, harder-to-find loans, limits on loan amounts, and longer waiting periods before the close of escrow. However, savvy buyers know that finding the right real estate agent to walk them through the process can alleviate frustration and get them into their dream homes with fewer missteps. According to Pete Lommori, co-owner of Lommori Stahl Group of Re/Max Star Properties in Pacifica, home buyers should be prepared to undergo a lengthy approval process that takes into account their principal, interest, taxes, insurance and long-term debt rather than their gross income. “Unfortunately, this limits a lot of buyers,” he says. “Rates can be higher if you don’t qualify for a 30-year fixed loan, and the process can be slow and require a lot of documentation and signatures.” Mr. Lommori advises buyers to stay patient and give themselves extra time. Having paperwork, documentation, and other necessary items on-hand can reduce wait times and hasten the process. Q: Can you help me sell my house? A: Yes. We’ll start by looking at your home and assessing its condition, and then we’ll sit down with you and determine what you want to accomplish. We’ll discuss what your home is worth, the costs of selling, and details like inspections and disclosures. Q: What do I need to do to get my house ready to sell? A: Depending on the condition of your home and the area in which you live, we may recommend repairs, upgrades, staging or other actions to prepare your home for the market. We’ll walk you through what your home needs before it goes up for sale. Q: Is location the most important factor when it comes to buying a house? A: Location is definitely important, but so are things like the size and condition of the home, the number of bathrooms and bedrooms, the price, the distance from your workplace, and other factors that may be important to you. Once we determine your goals and expectations, we can help you weigh your options. Q: How can I determine my budget for buying a home? A: The most important thing you can do before looking for a home is to get preapproved for a loan. Most lenders approve people based on their gross income, but the real figure is what you can afford to spend on housing each month. We advise our clients to break down their living costs so they can see what a monthly mortgage payment would look like. Q: Why isn’t my house worth what Zillow says it’s worth? A: Zillow prices homes by taking an average in the area, but it doesn’t actually account for your home’s exact features. Instead of using Zillow, we’ll show you a market analysis of the area that’s based on the size and condition of your house, any remodels or upgrades you’ve done, and other information that will give us an accurate price. The Lommori Stahl Group sold this property on Desvio Court in Pacifica. 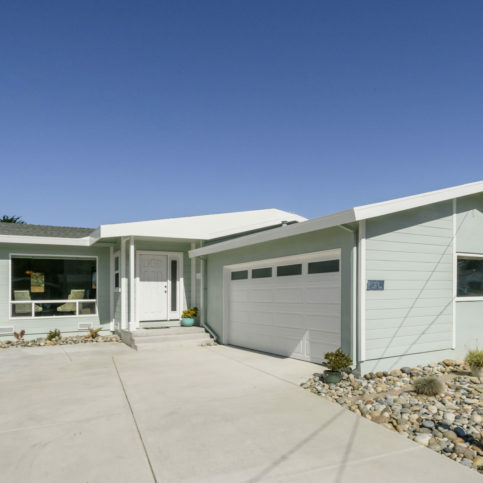 The Lommori Stahl Group recently sold this house on Seaside Drive in Pacifica. The Lommori Stahl Group sold this property on Seaside Drive in Pacifica. 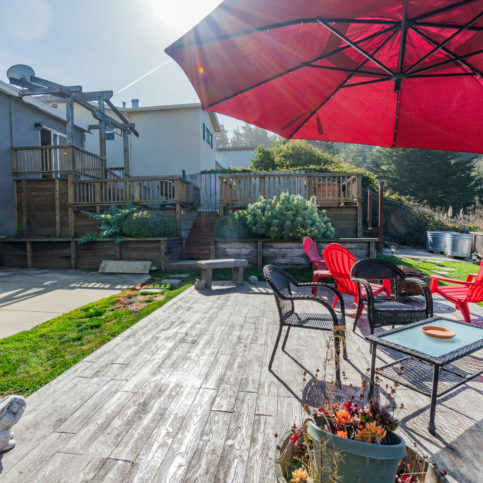 The Lommori Stahl Group sold this home on Outlook Circle in Pacifica. 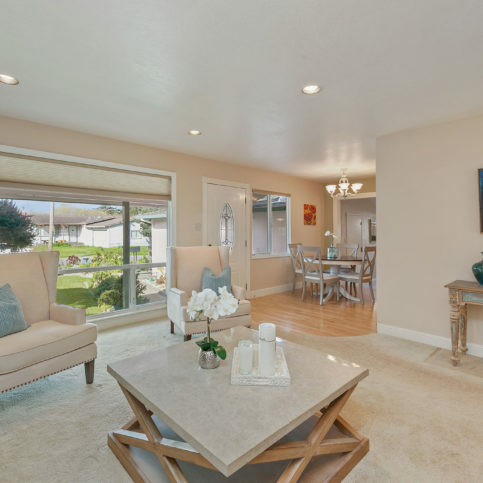 The Lommori Stahl Group sold this home on Burns Court in Pacifica. 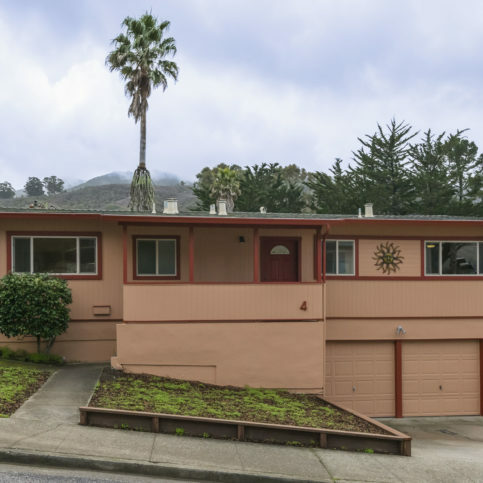 The Lommori Stahl Group sold this house on Rio Vista Drive in Pacifica. The Lommori Stahl Group sold this property on Valencia Way in Pacifica. 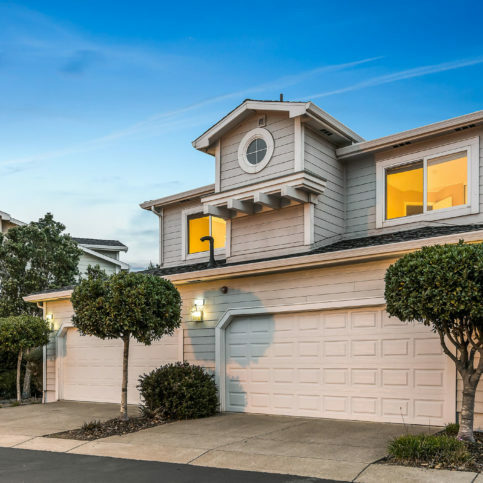 The Lommori Stahl Group recently sold this home on Galvez Drive in Pacifica. 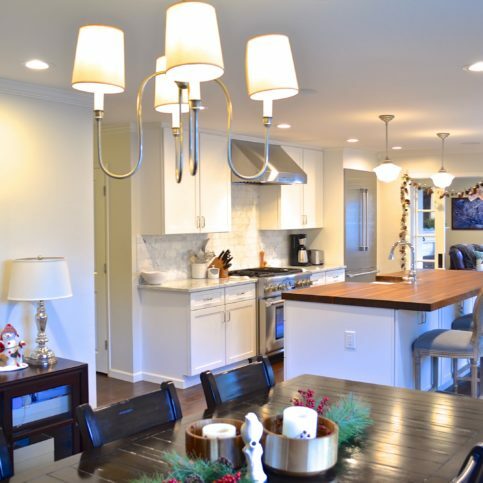 The Lommori Stahl Group sold this home on Galvez Drive in Pacifica. Christine Stahl is a 30-year veteran of the real estate industry and partner at Lommori Stahl Group of Re/Max Star Properties, a Diamond Certified company. She can be reached at (650) 525-4162 or by email. A: A cat named Girl. A: Documentaries. I like history and enjoy learning the facts behind major events. A: Chateau St. Jean in Kenwood. A: Classic rock and Motown. A: Succulents—they’re fun to collect because you can simply take a branch from someone else’s garden and transplant it into yours. Curb appeal is an industry term that signifies the aesthetic value of a property’s front yard and façade. Think of it as the “face” of your property—the first thing potential buyers see when they drive up (or by). Maximizing your property’s curb appeal often involves several steps, from general upkeep (neatly trimmed trees, shrubs and grass) to adding colorful flowers or repainting your front door. Staging is a way of showcasing the space in a home, and it may consist of anything from a couple of well-placed flower arrangements to a complete rearrangement of furniture. In some cases, real estate agents will even bring in their own plants and furniture to further boost appeal. 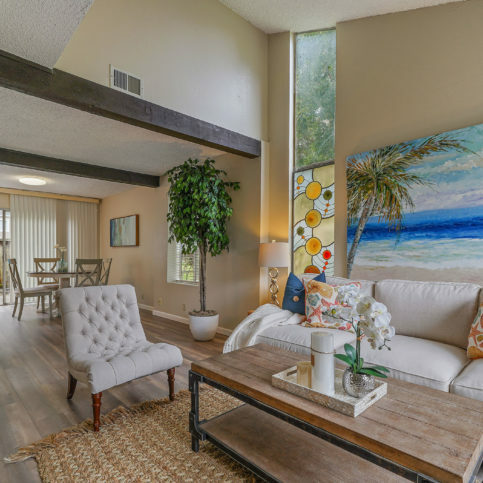 Staging has become standard in the real estate industry, and most buyers actually expect a home to be staged when they come to see it in person. In terms of investment return, repainting your sale property is a win-win, as it’s simultaneously one of the least expensive and most impactful home improvement measures you can employ. If your home has old carpet, rather than replacing it, consider pulling it up and refinishing the hardwood beneath it. Not only is this less expensive than installing new carpet, but hardwood flooring has become a popular aesthetic choice among today’s consumers. To make the most of pre-sale home improvements, ask your real estate agent which measures are likely to bring the most benefit for your property. PACIFICA – Host, Sarah Rutan:If you’re planning to sell your home, you’ll want to take every available measure to get it ready for market. To learn more, we’re in Pacifica with Diamond Certified Expert Contributor Christine Stahl, partner at Lommori Stahl Group of Re/Max Star Properties. Diamond Certified Expert Contributor, Christine Stahl:So, you’re putting your home on the market to sell, and it’s time to make improvements. What are some of the top improvements that you would want to consider when getting your home ready to sell? Curb appeal – very, very important, because people like to drive by and look at a property. So, we may recommend some extra flowers, painting the front door, those kinds of things. Staging – staging has become huge in the last seven to eight years. Buyers these days actually expect a home to be staged. Sometimes we stage with all new furniture; sometimes we stage with the seller’s furniture, or a combination thereof. Painting- painting the interior and exterior of a property. That is the least expensive way to bring the most benefit to a property when getting ready to sell. Fresh paint. If you have hardwood floorings, we can recommend a company to come in and polish up the floor, or refinish the floor. So, these are the top home improvements that we would recommend to a seller when they are getting ready to sell. Host, Sarah Rutan:To learn more from local, top rated companies, visit our Diamond Certified Expert Reports at experts.diamondcertified.org. Pete Lommori is a 43-year veteran of the real estate industry and partner at Lommori Stahl Group of Re/Max Star Properties, a Diamond Certified company. He can be reached at (650) 525-4162 or by email. A resident of Pacifica, Pete appreciates his central proximity within the Greater Bay Area. “I like how convenient this area is to everything,” he says. “Even better, as a Harley-Davidson owner, there are plenty of beautiful places for me to ride, from the coast to the redwoods.” When he’s not on a motorcycle ride, Pete likes playing golf, driving his Corvette convertible, and enjoying the rich array of wine and food to be found in the local area. A: Italy. I’ve been there before, but I still want to visit the town where my grandparents came from, which is in the Tuscany region. The town is called Lammari, which is where my last name originates from. A: Oldies but goodies, from the ’50s all the way through the ’80s. A: Putter around in the garage and clean up my Harley and Corvette. I also like to watch old movies. A: A 1967 Pontiac GTO convertible. I used to own one, so it would be fun to get one and relive the past. 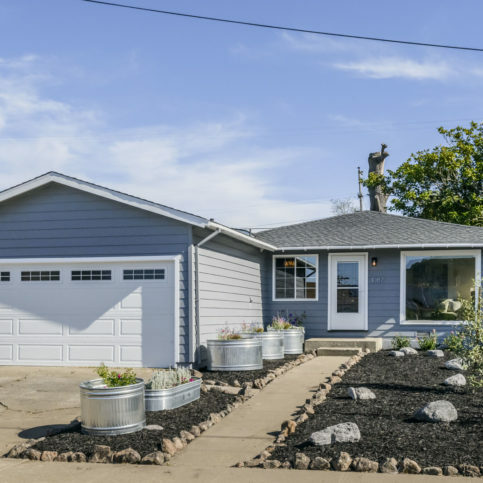 PACIFICA — If you’re a homeowner and nearing retirement, it’s a good idea to start planning now, especially if you’re thinking about selling your home. One thing many homeowners in this position fail to think about is capital gains. If you bought your home a long time ago, it has likely incurred a substantial amount of appreciation over the years. The good news is you’ll make a profit when you sell; the bad news is a high capital gains tax comes along with your home’s increased value. If you aren’t careful, you could end up losing a substantial chunk of your profit to this tax, which could put a dent in your retirement fund. To avoid this scenario, make appointments with a real estate agent and a tax professional to see what kinds of capital gains you’re looking at and what your options are. One good option is to put your estate into a trust, which can help you circumvent capital gains if you decide to sell or when your heirs inherit your property. 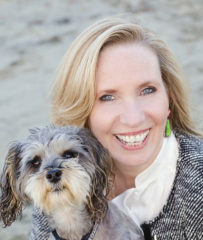 PACIFICA — Host, Sarah Rutan: Whether you’re retiring, selling your home or simply want to get your affairs in order, there’s no substitute for careful planning. 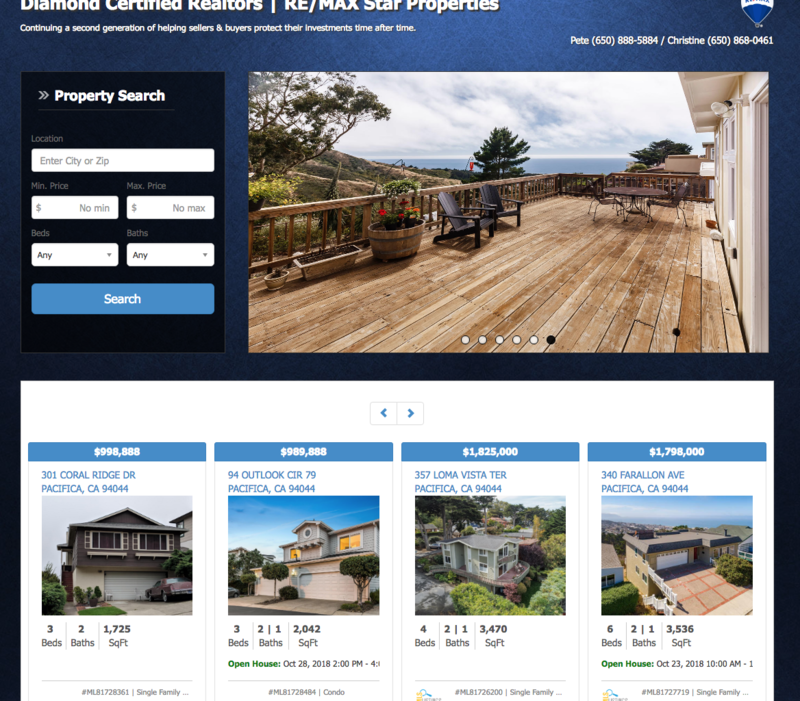 To learn more, we’re in Pacifica with Diamond Certified Expert Contributor Pete Lommori, partner at Lommori Stahl Group of Re/Max Star Properties. Diamond Certified Expert Contributor, Pete Lommori: Hello. My name is Pete Lommori, and this is your tip of the day. Today’s tip has to do with estate planning and tax planning. Our society is getting older, and when we meet with the clients that are selling their home and retiring, we have to discuss capital gains. These folks have bought these properties way back when, when they were very inexpensive, and, now, with the appreciation we’ve incurred, they are looking at possible capital gains. So, we sit down with them and instruct them and refer them to tax experts, so they know, going in, how much they’re going to have available to retire when they move. Secondly, estate planning — we get clients coming in that have no estate planning. They don’t have a will or a trust, and it could adversely affect their heirs. We also recommend that they see an estate attorney, and we highly recommend a trust being the best to avoid capital gains when and if they sell the property or their heirs inherit the property. That’s your tip of the day. Lommori Stahl Group of Re/Max Star Properties : Average 9.4 out of 10 based on 43 unique customer surveys of customer satisfaction. They got us a variety of places within weeks to look at in the area. We found the place we loved and got it at a great price. They were very helpful connecting us with all the right people in the industry to make everything run smoothly. They have the right network of people in the industry to make a transaction like this very smooth. They were quick to respond and they were quick to offer services for things not thought of. I live out of state. Selling in a California market was hard to navigate, so they offered a lot of help. They also had good contacts for local people, because we had to do some work before listing it. That they were approachable, I felt comfortable speaking to them. They went over and above what I thought was good service. They were professional, knowledgeable, they listened to you, and are always available. They are not the kind of people where they just want money. They want the best for you. They are really responsive. If you want the best Realtor in the area, use him. Pete is a great man, I would do anything with that man, I have known him for a long time and he has stayed true to himself, great people there. Everything, they handled it all, above and beyond his duty. I thought they did a great job, they found us something under budget that we love. We will give this house to our son and daughter, so it needed to be up to standards. They really cared about us. They were some of the best people I have dealt with in this capacity. Nothing specific, everything was done to the best of their abilities. I was 100% satisfied. If I compared them to other Realtors I have dealt with, they get a "10" in my book. Honestly, the paperwork, because I didn't have to do any. All I had to do was, sign and review. They found a place within our price range that had all the features we wanted, they were swift with all the paperwork, and quick with our lender. I liked the fact that they dealt personally with the bank. I didn't ever really have to do anything. They're very knowledgeable and just nice people. They're friendly, and there's no beating around the bush. They just tell you how it is. They problem solve and tell you they're on it. They were friendly, and I felt relaxed around them. I'd tell them to use them. They handled the whole thing and took care of it all. Their experience is unsurpassed. Both of their fathers were brokers, and they have been in business for a long time. They're are local experts. I would highly recommend them. They are always available and return calls quickly. They explained things in detail and in terms that were easily understood. I had a short sale, and they were good about explaining the entire process. She is a professional person. She was very involved, professional, and went right to the heart of the matter. She's great. They were very helpful, and I felt comfortable as a buyer. They are very personable Realtors. I liked the friendliness of the agents. They are consumer friendly and helpful. I have used them four times, and they are consistently good. I like how accessible they are. They are always available. I liked that it's a team. They have a lot of experience, a lot of ways to help financially, and they provide a lot of information. I purchased and sold properties through them, and everything went smoothly. I think she's quite professional and the idea that this woman has 30 years of experience in real estate makes me feel confident in her abilities to sell my house for the price I'm looking for. I totally trust her. She's easy to talk to and pleasant to be around.